Size should not be an issue since the PS4 version was only 30GB. Dragon Quest XI for Switch is developed in Unreal Engine 4 -- Likely a port of the PlayStation 4 version. The Switch version of Dragon Quest XI: Echoes of an Elusive Age is developed using Unreal Engine 4, series creator Yuji Horii said at Epic Games Japan’s Unreal Fest East 2017 at Pacifico Yokohama Conference Center today. Several Twitter users who attended the event reported Horii as confirming the Switch version is developed in Unreal Engine 4, suggesting that it is a port of the PlayStation 4 version rather than the 3DS version. 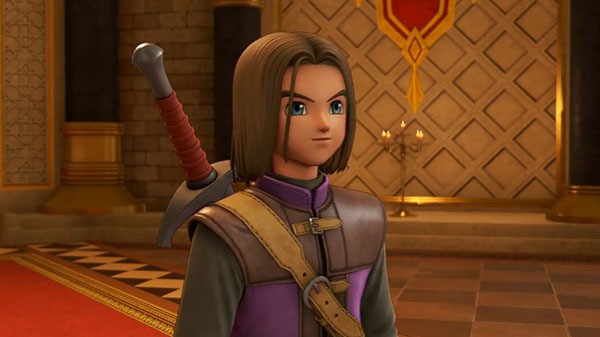 Horii questioned whether he could talk about the Switch version being developed in Unreal Engine 4, to which Square Enix programmer Mitsuru Kamiyama replied, “you already said it!” It should be noted that Unreal Engine 4 did not officially support Switch until version 4.15, while Dragon Quest XI was originally developed in version 4.13. Dragon Quest XI: Echoes of an Elusive Age launched for PlayStation 4 and 3DS in Japan on July 29. A western release is planned for 2018, but platforms have yet to be announced.